Have boat, will travel—to just about anywhere you choose. 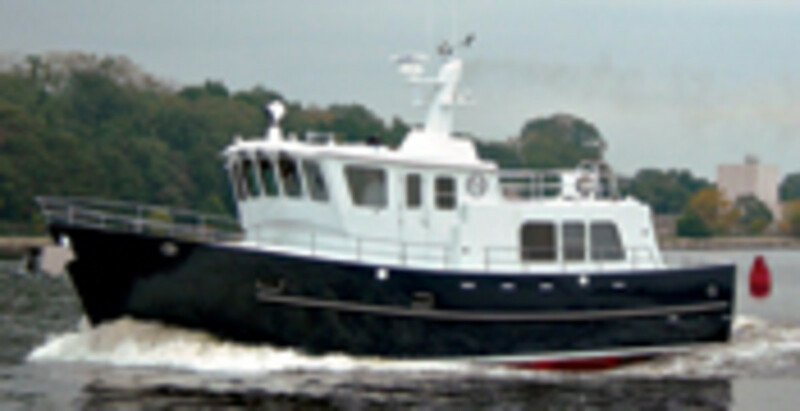 That is the raison d&apos;tre for the Aleutian 92, built in Tacoma, Washington. And with a sturdy steel hull, a range of superb standards, accommodations for more than a dozen guests, and a reported 5,213-NM range at 10 knots, she&apos;s up for the task. The 92&apos;s construction reflects her builder&apos;s mission to maximize safety. 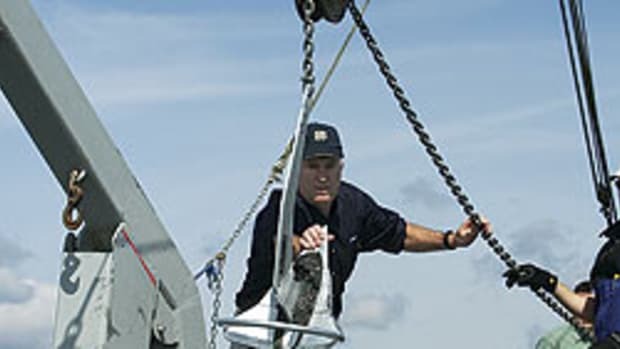 The hull consists of a one-inch steel-plate keel, 5/16-inch bottom plating, 1/4-inch side and main-deck plating, 3/16-inch upper deck, flying bridge, and wheelhouse plating, and 1/4-inch bulwarks with structural pillars spaced every 3&apos;7". Longitudinal stiffeners of 3/8-inch flat bar steel spaced at a minimum of every 1&apos;2" and three watertight bulkheads complete the package. But she&apos;s also been designed to make ocean crossings in comfort and style, her well-appointed galley being testament to this. 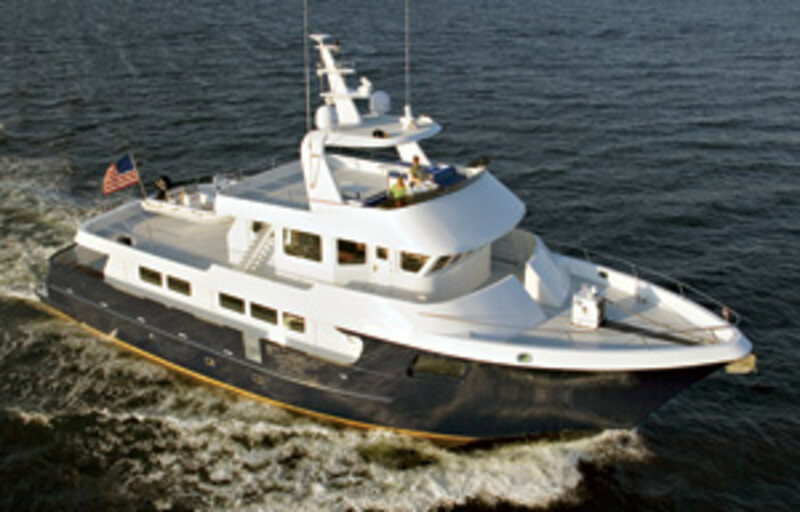 Amidships on her main deck, forward of the saloon, the galley is fitted with superlative standards, including a Wolf oven and five-burner cooktop, Sub-Zero refrigerator, two drawer-style freezers, 46-bottle wine cooler, and Sharp microwave/convection oven. Five staterooms—a main-deck, full-beam master with king berth and four lower-deck staterooms with queen berths and en suite heads with showers—ensure privacy and comfort and are finished with Jabota (Brazilian cherry) furnishings and soles. Two standard 55-kW John Deere gensets and a 8-kW Northern Lights nighttime genset should be all but silent while running, thanks to soundshields customized with two inches of Soundown insulation. 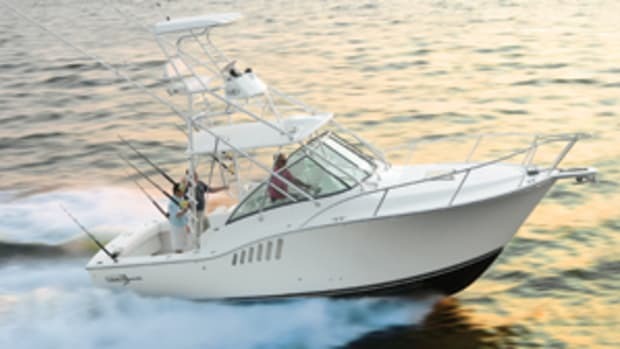 The main gensets also power a hydraulic system that includes standard Naiad 353 stabilizers, bow and stern thrusters, and a 6,000-pound-capacity davit. 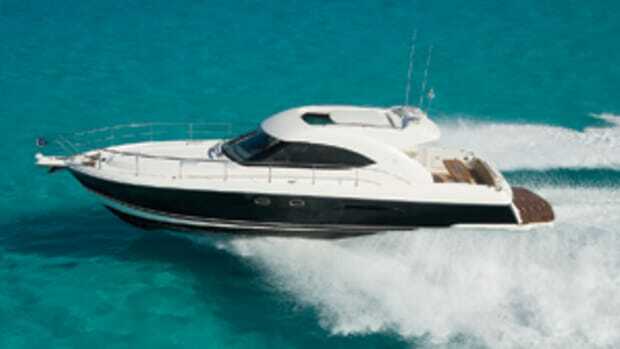 Other features include 200,000-Btu Ocean Breeze air conditioning and an 800-gpd Sea Recovery watermaker. Standard power is a single 800-hp Caterpillar 3412E, with options for twin 1,000-hp Caterpillar C18s. The base price is $5.5 million. 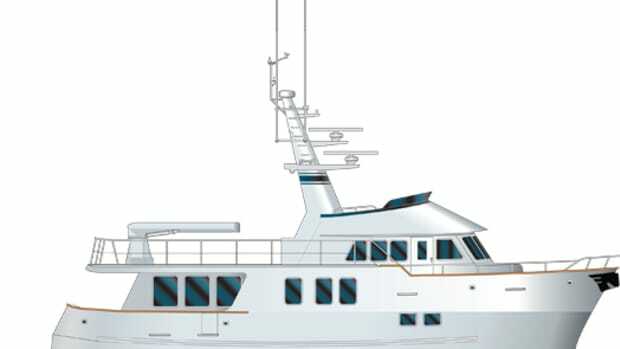 Built at Merritt, North Carolina&apos;s Custom Steel Boats facility, the steel-and-aluminum Neville 47 adds to a line of trawlers that includes 39- and 56-foot models. 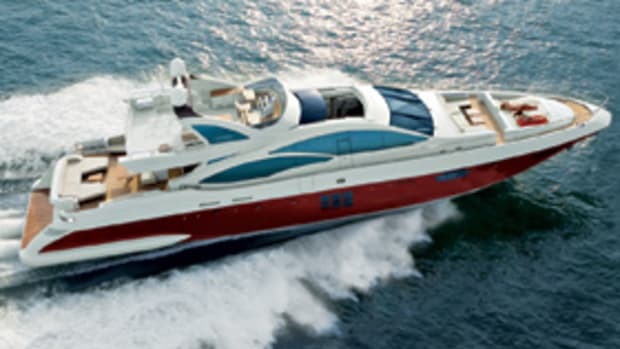 The interior offers either a single-master, single-head layout with additional accommodations for two in a office/guest stateroom or a two-stateroom, two-head configuration. 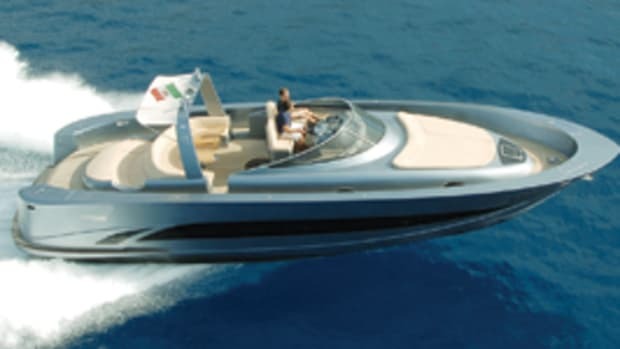 With a 1,535-gallon fuel capacity, the 47 is reportedly good for a 2,740-NM range at 8 knots. 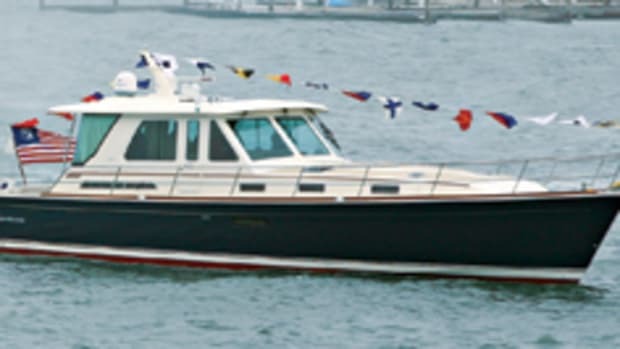 Features include a cherry interior, two watertight Freeman doors, a Stidd pilothouse chair, Vitrifrigo refrigerator and freezer drawers, a 12-kW Northern Lights genset, a Carlisle & Finch searchlight, a Maxwell 3500 windlass, and a Wesmar bow thruster and stabilizers. Pricing is $1.3 million with the standard 235-hp John Deere 6081A M1 diesel.